Use with EtO, steam, gamma irradiation, E-beam sterilization technology. Highest bacterial filtration efficiency (BFE) available. * Highly permeable – no wet packs. Bacterial barrier to both airborne and waterborne contamination. 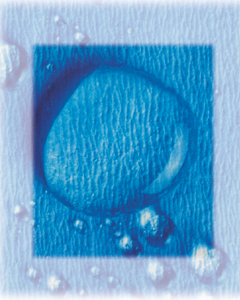 Outstanding liquid repellancy – water, alcohol, iodine. Even texture to permit immediate visual detection of small pinholes/tears. Meets flammable fabrics act (FFA) requirements. Worth Knowing: Petroleum free – Manufactured from environmentally friendly cellulose material made from wood pulp. Can be processed through Gamma Sterilizers, however their effectiveness will be diminished 15 to 20%, i.e. if you did a tear strength test on the material prior to Gamma and post Gamma, the strength would be diminished 15 to 20% post Gamma. Eliminates skin sensitivity issues associated with oily residues inherent in plastic based wrappers.